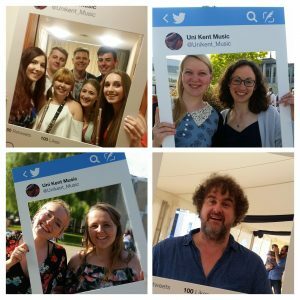 Medallion Man: RIBA plaque | Music Matters | Because it does. Doesn't it ? 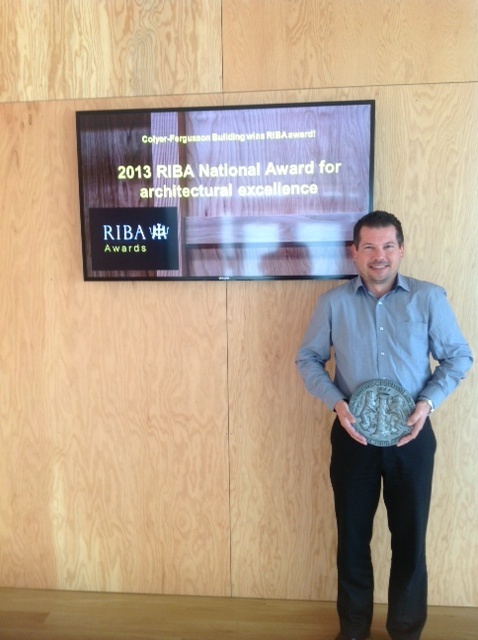 Further to the previous post about the Colyer-Fergusson Building winning a RIBA award, here’s documentary evidence – project manager Mark Ashmore, from the University Estates Department, bearing the wall-plaque announcing the award. Mark had to carry the award, made from lead, heroically back from the awards ceremony in London all the way to Dover after the event; and believe me, it’s heavy…Worth the effort, though…!